The first offering of this Master Class for beginners was a great success! Twice as many people registered as I expected, even though registration was open for only one week. I want to thank the students of the first class again for participating, and once again express my gratitude for your feedback on the content and for your many positive comments about the course. Registration for the next section will open March 21. I’ll post more information about the class over the next several days. Check back here when you can to learn more about the iPad Academy Master Class. Are the classes you offer on the ipads taken on the web-site or only at your place? Fixing to start doing Board Reports to Directors and I don’t know one thing about what I will be doing. 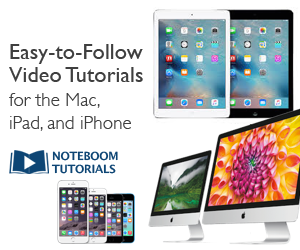 You’ll get 21 easy-to-follow video lessons, all delivered online. You can watch them on your computer or iPad whenever it is convenient for you.